Xickle® RBC-Plus™. A new Anti-Sickling Drug Reduces Bone Pain and Fatigue. In a study published in the American Society of Hematology journal Blood: 22/23 sickle cell patients had no chronic bone pain after 13 days. Patients reported reduced fatigue and participants variously described improved sleep, energy and cognition. Is Xickle® effective for the treatment of sickle cell? The clinical study says YES. And it's available now. So WHY WAIT! You be the judge. Here is what the publication says about the study results for SCD-101. "Conclusions: SCD-101 is a promising new drug for the treatment of sickle cell disease, based on the results from the studies reported here." SCD-101 is the drug equivalent of Xickle RBC-Plus. And Xickle® RBC-Plus™ is a more potent anti-sickling agent than Niprisan, a drug approved to treat sickle cell disease in Nigeria. In clinical studies, and I quote, "Niprisan...reduced the frequency of sickle cell crises, bone pain, and hospital admission." And Xickle has more anti-sickling activity than Niprisan. 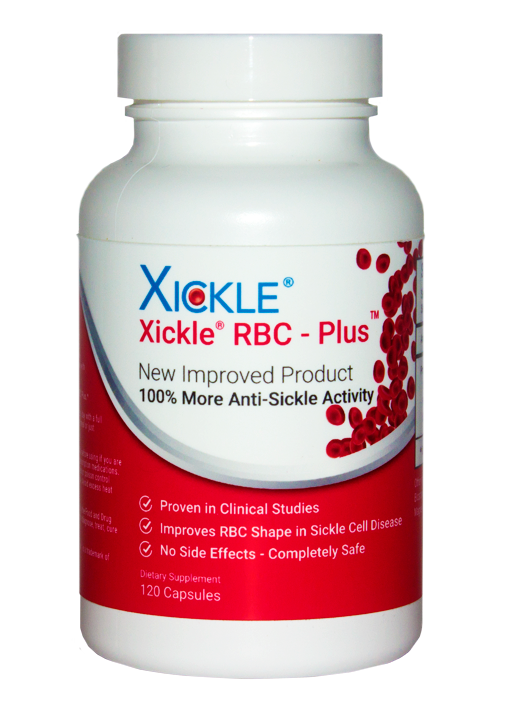 Xickle® RBC-Plus™ Improves Red Blood Cell Shape of Patients with Sickle Cell disease. Clinical study showed reduction in pain and fatigue as well as patient-described improvements in sleep, energy & cognition. Based on our clinical results, we have doubled the Xickle® anti-sickling activity. THE RESULTS OF OUR CLINICAL TRIAL FOR XICKLE® RBC-PLUS™ ARE IN AND THEY ARE FANTASTIC. Here are the conclusions by the author. "Conclusions: SCD-101 (the drug equivelant of Xickle RBC-Plus) is a promising new drug for the treatment of sickle cell disease, based on the results from the studies reported here. SCD-101 was well tolerated over an 8-fold dose range, and dose-dependent anti-sickling effects on RBC were observed, though without significant changes in hemolysis. Clinical benefits included reduced chronic pain and fatigue, improved sleep and improved ulcer healing." We could hardly have asked for more! We want to protect our children and ourselves from the ravages of conditions that damage red blood cells and lead to pain and even possible organ failure. 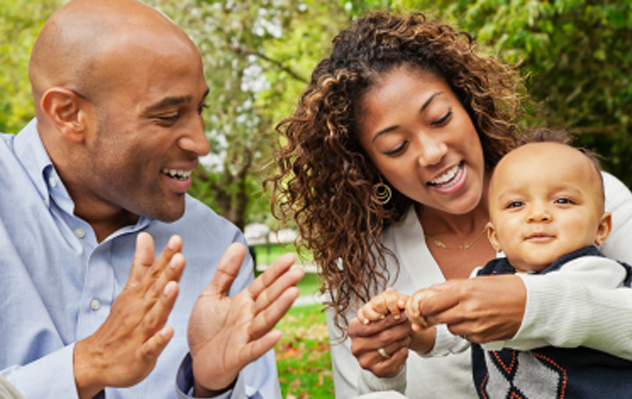 Xickle® RBC-Plus™ helps you do just that and lets children and adults lead healthier and happier lives, something we all want for ourselves and especially for our children. Xickle® RBC-Plus™ is also the perfect supplement to take when you are doing vigorous exercise and worried about the possible after effects. You will experience more energy and less fatigue. Xickle® RBC-Plus™ is an all-natural product proven in clinical trials to reduce pain and increase energy. "I am using Xickle for 1 year now. No more crisis. Thank you to the team who made Xickle available." "My children have been on Xickle RBC-Plus for now 2.5 years and they have not experienced any crisis and serious pain. They are very energetic, very healthy, and living a normal life. They are very active in school swimming and dancing clubs. For all those years, have not experienced any side effect related to using xickle. We thank God for their health and Xickle Supplement. "